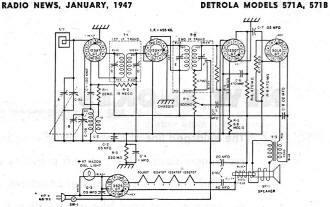 Magazines usually provided at least a brief description on the circuit functionality for each of the radio models presented in schematic format. 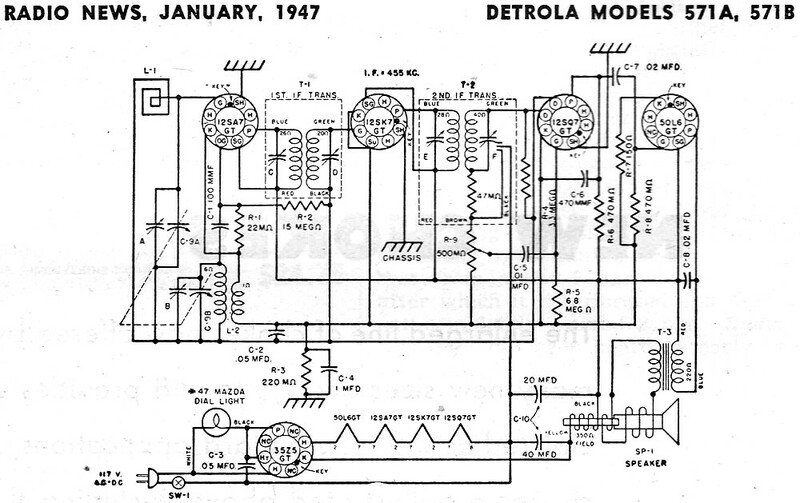 The January 1947 issue of Radio News published schematics and parts lists for six sets, including this for the Detrola models 571A, 571B, but not a word about any of them accompanied it. 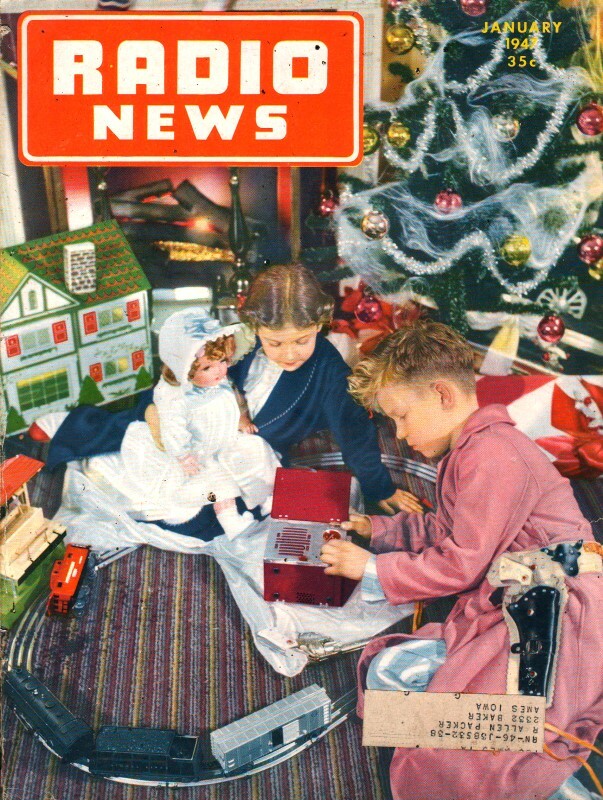 The thumbnail image is from an eBay auction, and more info can be found on the RadioMuseum.org website. These are posted as part of my ongoing effort to make the information available to those who repair and/or restore vintage vacuum tube radio sets. Services like SAMS Photofact®, which began operation in 1946, is still an excellent source of the most detailed data available.